When I see an adirondack chair I automatically think of the beach. 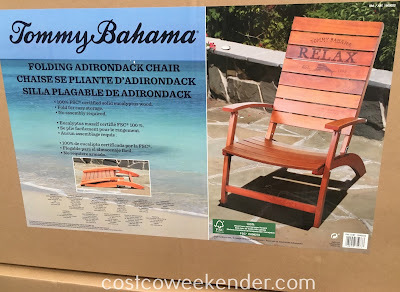 And if being at the beach isn't enough to get your mind right, then the Tommy Bahama Folding Adirondack Chair has a message on the back that tells you to RELAX..just as a friendly reminder. Since it is foldable, I suppose that you can pack this adirondack into your car and lug it to the beach. 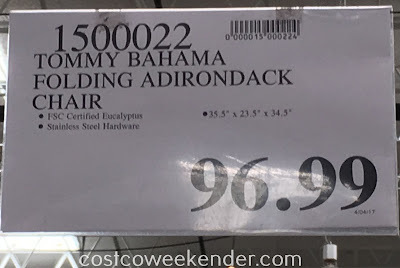 But for that purpose, I would probably go with something lighter and even more portable like the Tommy Bahama Backpack Beach Chair which I have and would never leave for the beach without it. 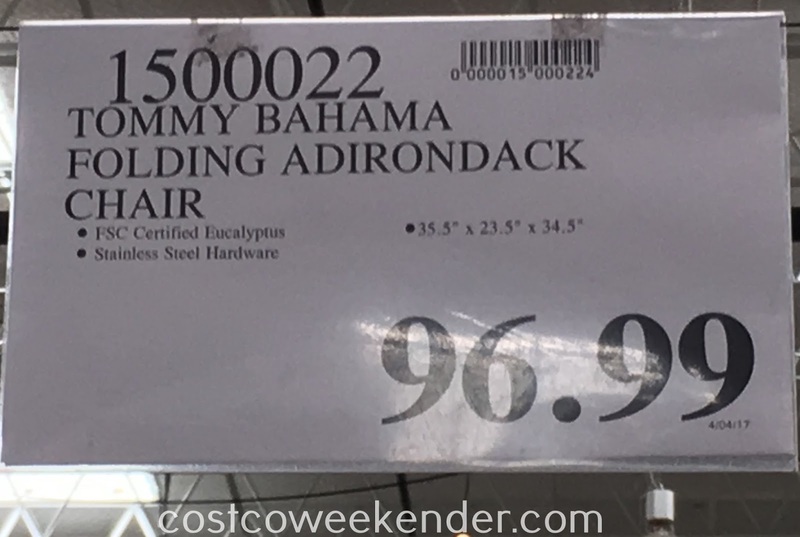 But the Tommy Bahama Folding Adirondack Chair can still be ideal for sitting outside in your backyard, outdoor deck, patio, or alongside your pool. It's comfortable enough that you can easily spend long periods of time reading, sipping on a lemonade, napping, or just relaxing on this chair. And when you need to store it away..no problem since it folds for easy storage. 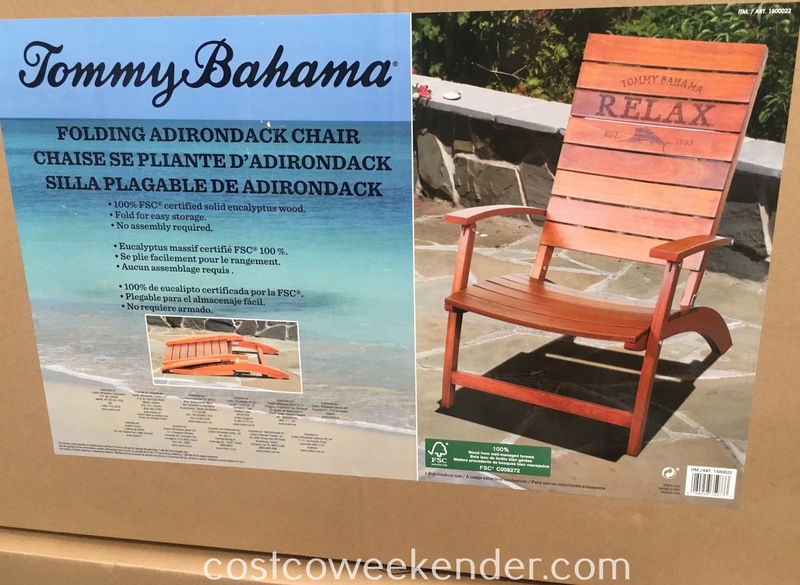 So with summer around the corner, make sure to spend more time outdoors and just relax and enjoy the sun on the Tommy Bahama Folding Adirondack Chair.